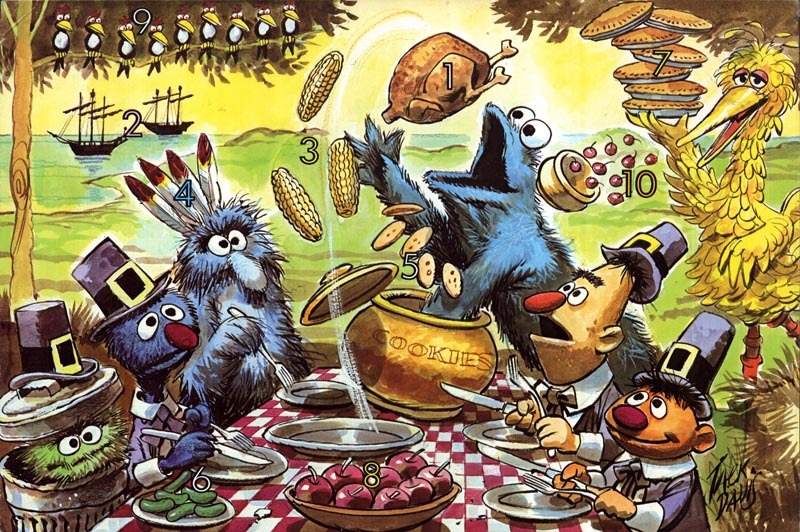 Can you tell me how to get... how to get to Sesame Street? 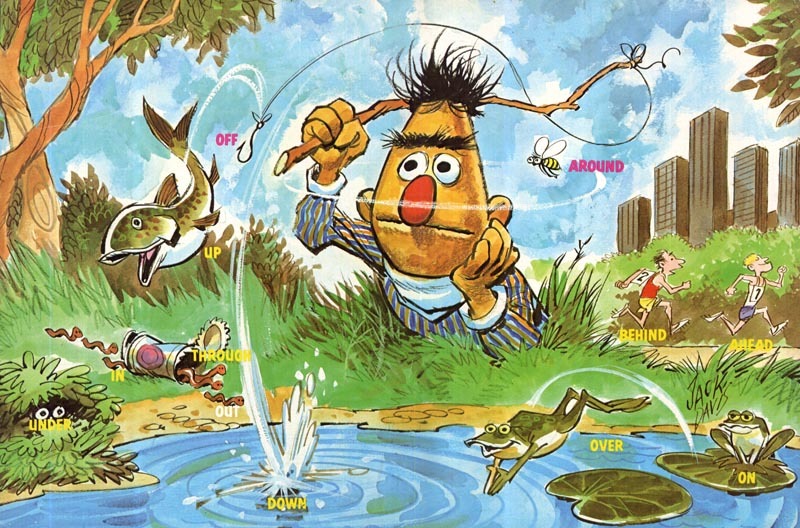 We 1970s kids all knew the way; just turn the dial (yes dial) on the television to PBS (or CBC here in Canada) and there you'd find Ernie and Bert, Cookie Monster, Oscar the Grouch and all your other Children's Television Workshop friends! 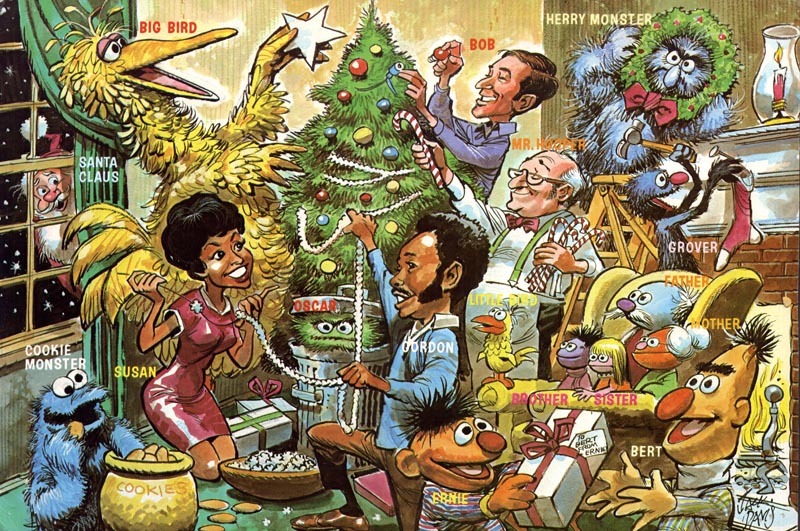 Little did this '70s kid realize that as I was watching Sesame Street (in black & white, by the way - we were the last family in our neighbourhood to get a colour tv, I swear! 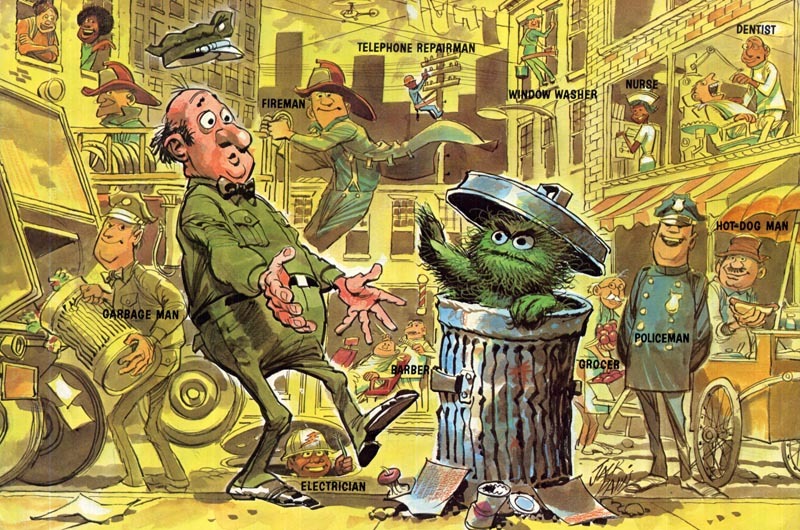 ), the amazing Jack Davis was drawing all the muppet - and human - denizens of the Street! 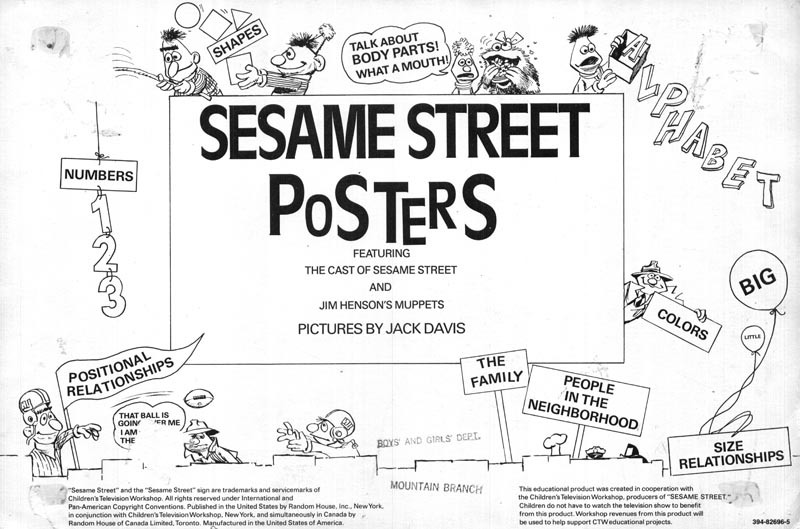 Only years later, when I was all grown up and admiring Davis' work as a student of the art of cartooning did I realize who was responsible for these amazing Street scenes. Enjoy! * Thanks to my old art school pal Rich Hockney for rescuing these posters and passing them along to me! 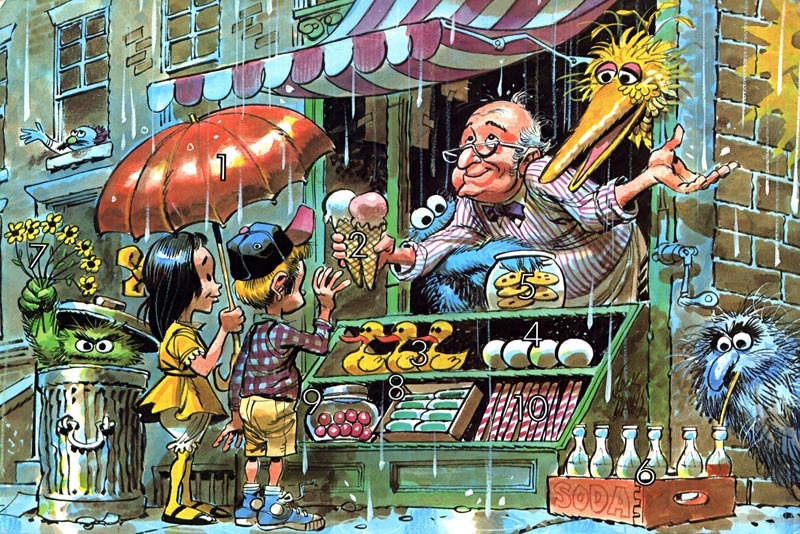 * More Jack Davis art on the Muppets Wiki - including "Reality Street" and "Mafia street" from Mad magazine! Incredible draftsman. 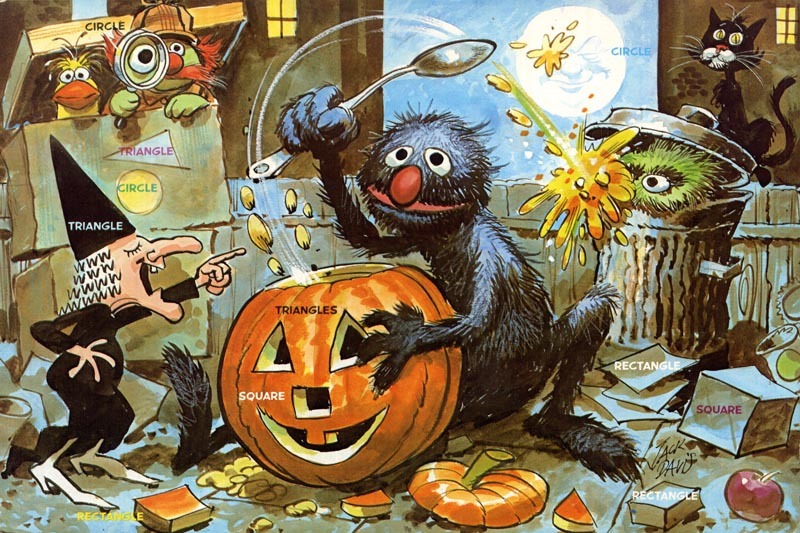 I was impressed early on at how much action and detail he would pack into a single illustration. I still have a tracing I did at age 12 of his "Reality Street" piece, trying to figure out how he did it! I owe Jack a lot of credit for the development of my own cartooning style.Thanks Leif!